Normally the places we choose to camp are deserted. Nobody but the wildlife to see us pooping. 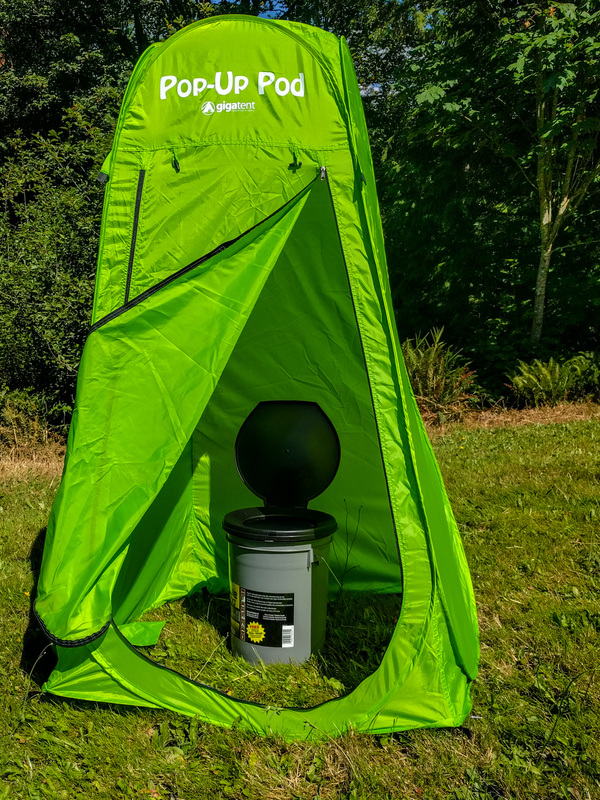 Sometimes though we have neighbors, so we bought a $40 pop-up toilet/shower tent. A toilet tent sounds like an extravagance, and it kind of is, but it serves a couple of useful purposes. Our poop bucket is smelly while it’s in use. It’s much nicer to store it outside the van than inside. 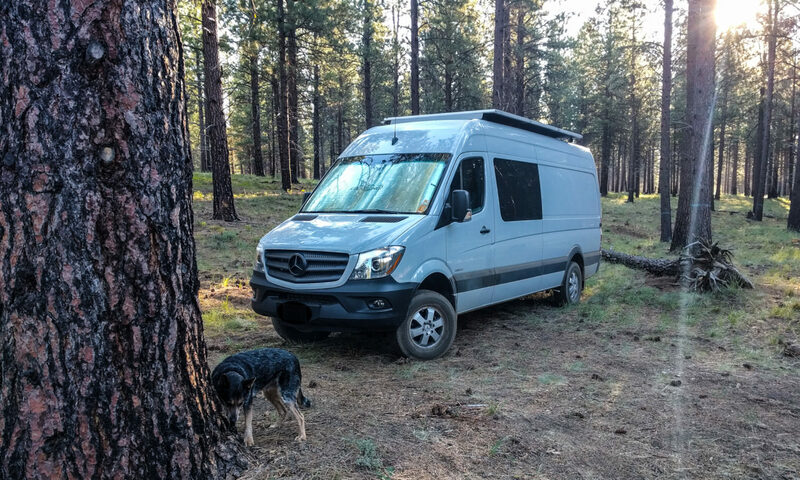 If we need to drive the van somewhere to get supplies while we’re camped, the tent “reserves” our site for us – it makes it clear that someone’s camping there. It’s lightweight and easy to move around, so moving it to the back doors to shower after a bike ride is very simple. We chose the GigaTent Pop Up Pod Changing Room because it was only $37. That’s way cheaper than many other options. It does NOT have a fabric base, which is perfect for our use because you can shower in it. That does however mean that flies can get inside if you’re using it as a portapotti storage location. The tent is 69″ high. That means if you’re under 5’8″ tall, you’ll be able to stand up straight in it. It secures to the ground with four included tent pegs, or it has two little pockets sewn in to the base that you can stuff with rocks. It uses flexible fiberglass poles that stay attached inside the tent. They curl round on each other as they fold up so that it forms a 2 foot diameter circular package when it’s folded. Here’s a handy video we found on youTube showing how to fold the tent up again after you’ve used it. Easy once you know how, impossible if you try to follow the instructions that come in the box.